I love the way it looks but hate the feel of mohair any ideas on what to do with it? 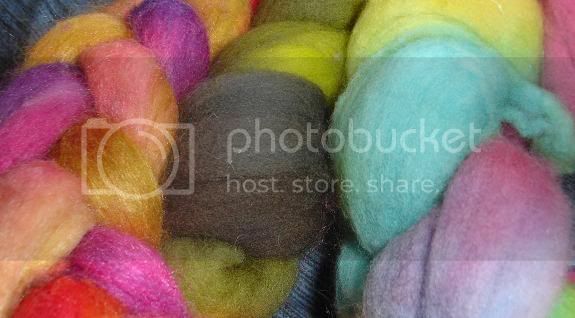 300 yards of Merino/Tussah Silk 50/50 spun short draw and 2 ply. I love merino/tussah and would sleep and snuggle up so warm in tons and tons of it. Even with the holes its super warm cause its alpaca! I was so excited last night finishing this up because I knew I could participate in Fiber Friday! I got this roving in the 12 days of christmas swap. 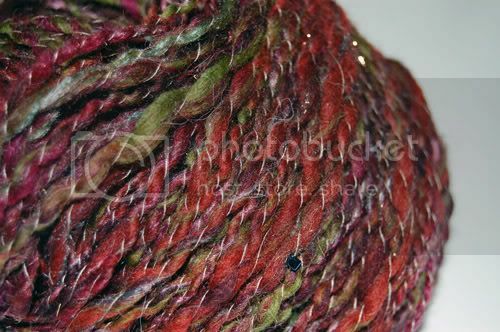 It's superwash, silk, a bit of mohair and sparkle. I love it! 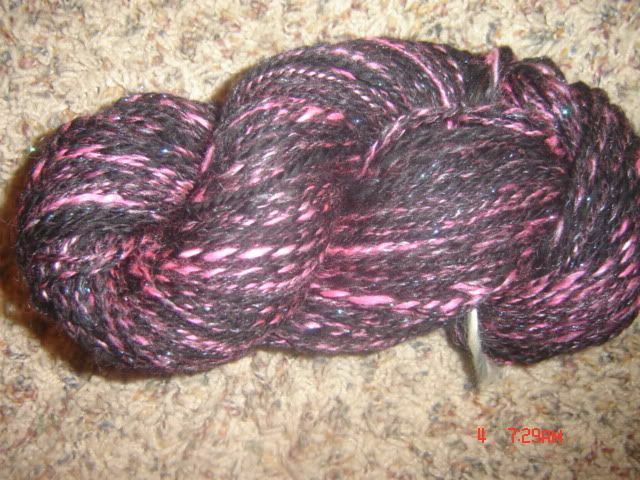 Plied back on itself 475 yards, sport weight. I call it I love the 80s. These were some of the colors I was obsessed with in the 80s, that and checkerboard. You can't see the sparkle so much but it's super sparkly. 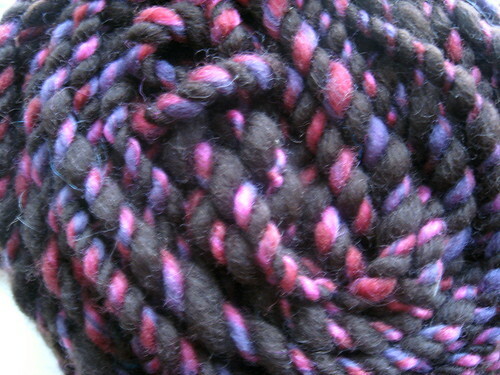 High Plains Drifter - mainly BFL roving I got from my friend Katie (Etsy shop here: http://www.etsy.com/shop.php?user_id=111769 ), with a little Lincoln wool and berry colored mohair mixed in for shits and giggles. 140 yards, 8 3/8 oz. Bertie Bott's Everyflavor yarn - I have no clue what is in this yarn. 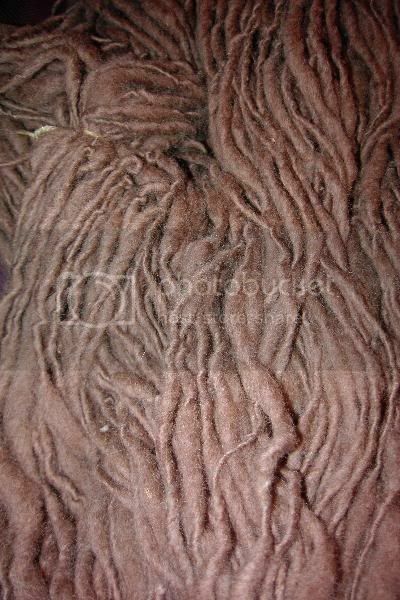 I must have combined a bunch of rovings together and then lapsed into amnesia, because I have no memory of combing these roving balls at all. I know it was done recently though, so that's a little disturbing. All of the Christmas Chaos must have gotten to me. 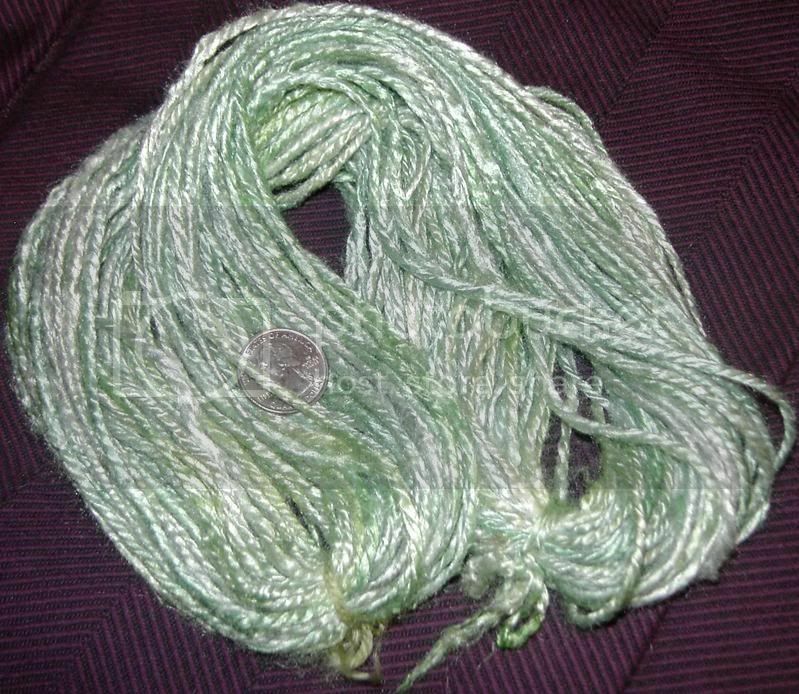 Anyway, this is 4 3/8 oz and 156 yards. 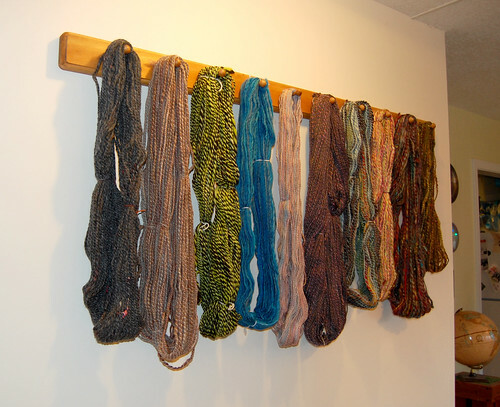 And Lufahsman and I got our nifty handspun yarn display unit mounted to the wall in our hallway! Woo! That's it for right now. Yay productivity! 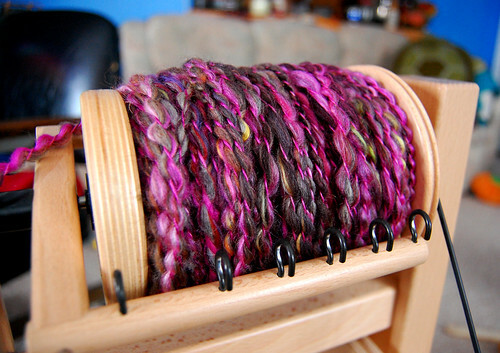 I got a wheel for christmas and spent the days off between christmas and new year's simply churning out yarn! 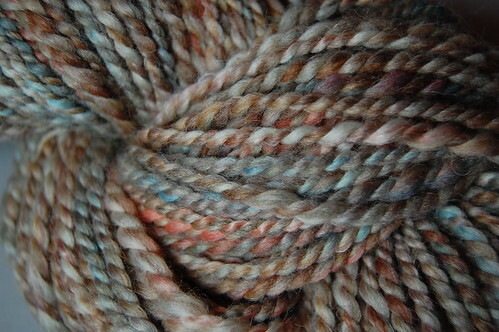 Also, I spun up some lovely Fleece Artist 65% merino/35% silk roving into a two-ply worsted to bulky weight. I have one more, but the pics aren't uploaded. Oops. I'll post it later on. I think Big Pink and 80's yarn would be great friends Lufah. The silk is so thin I thought it was thread! I envy your yarn display. Oh and everyone's yarns are so beautiful & I love seeing stuff knit from it. It still makes me giddy to be able to post with all the people I've admired for the last couple years! Everyone's yarns look great, as always. 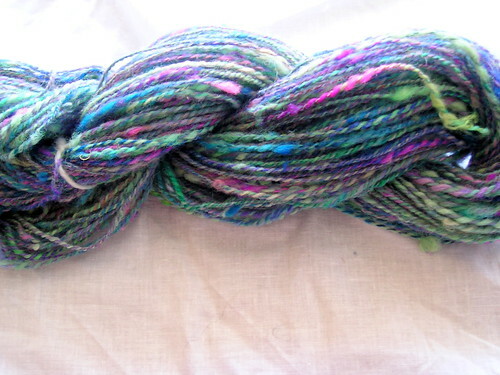 I especially love the colors in "Mermaid Dreads" and the "Bertie Bott's Everyflavor Yarn". 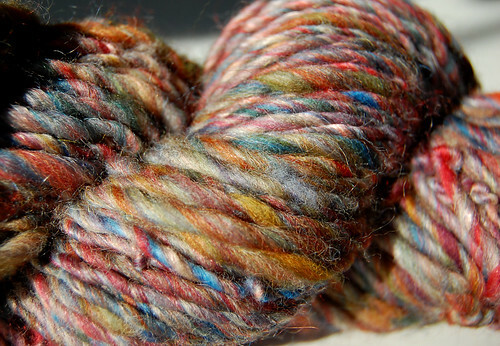 I also love seeing what people have made with their handspun. 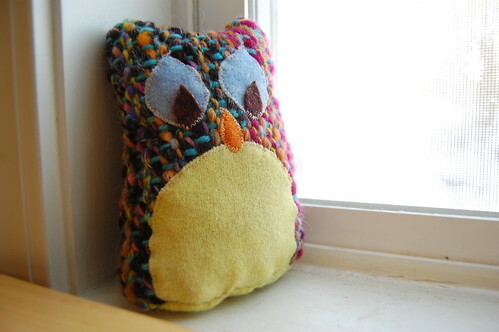 I have yet to make anything with any of mine, but perhaps that will be one of my goals for 2008. This is my only offering this week and my first vaguely successful attempt at plying a yarn with anything. "Vintage Post-Apocalypse" spun from Earth Goddess by [email protected] then plyed with dustygrey thread and various beads. Theres a LOT more sparkle in there than the photos show. I think I already posted the stuff on the left, but I'm not sure. 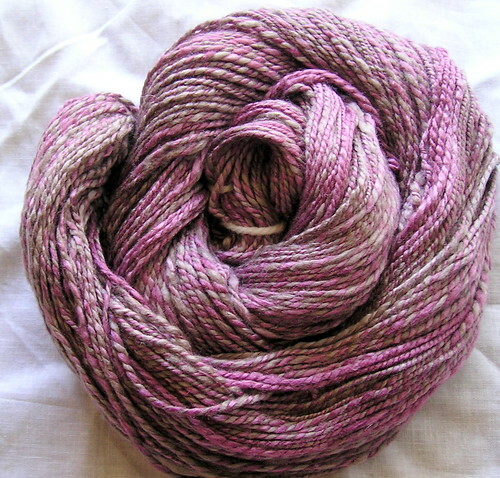 Anyway, more superwash merino. 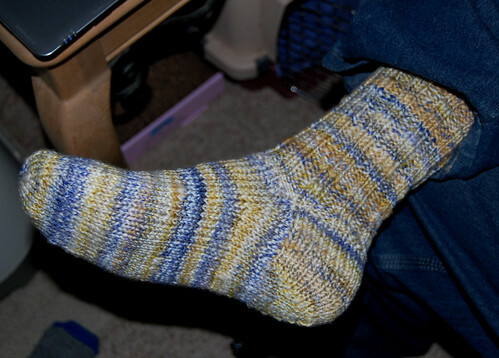 Intended for socks, but I think I ended up spinning it thicker than usual the past 2 weeks since I'm getting less yardage. The one on the left here is all 'scrap' superwash. 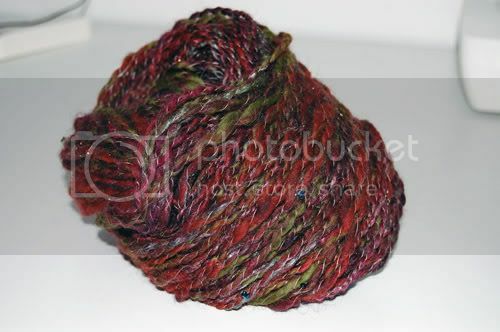 Basically, I had one colorway I dyed up that only had about 2 1/2 ounces, so I ripped off chunks from other colors I'd dyed to get it up around 4-5 ounces. 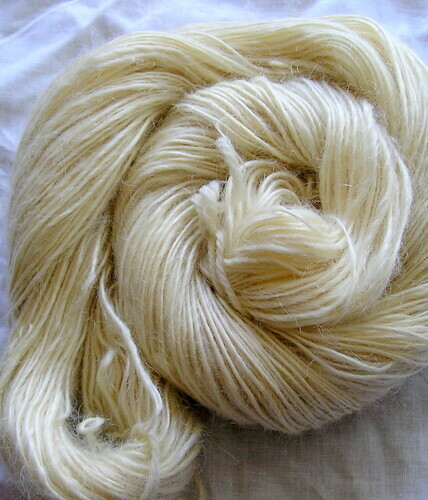 And some sheepshed mill-ends dyed light yellow with hints of maroon, although the maroon does not want to show up well in pictures. It kinda looks like a bruised banana. This came out thick-and-thin overall bulky. Sugar never tasted so good! 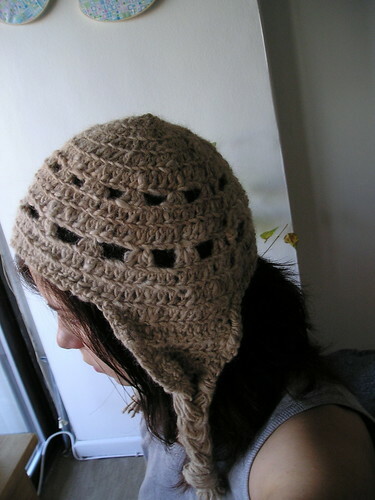 I love the "scrap" yarn- it looks like it would knit up really funky. 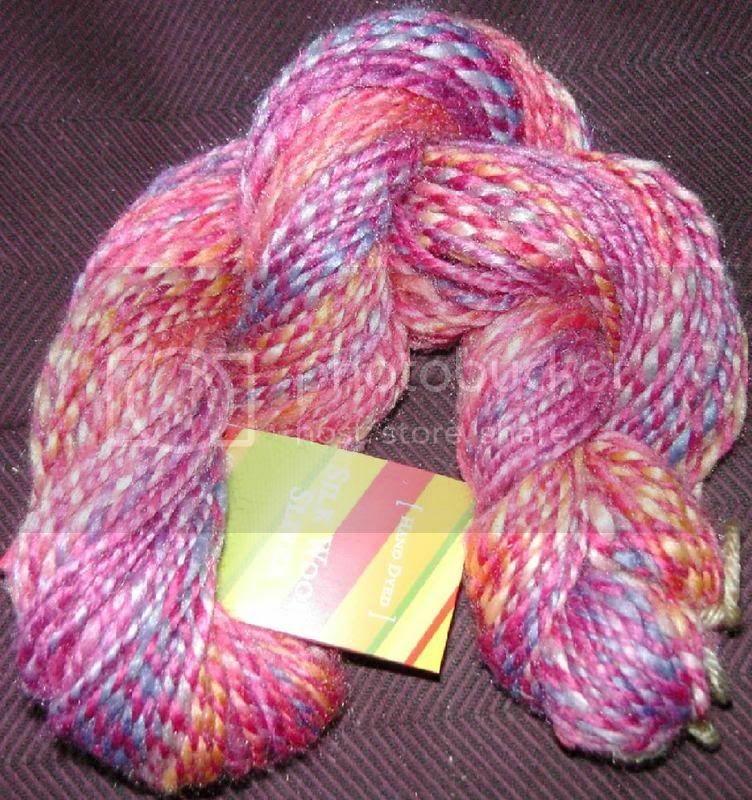 And I really like the name "bruised banana" for the yarn color- so perfectly descriptive! I bet the maroon looks lovely in person, though. Very cool! Phantom- I love that yarn! I spun Wonkaville this week. 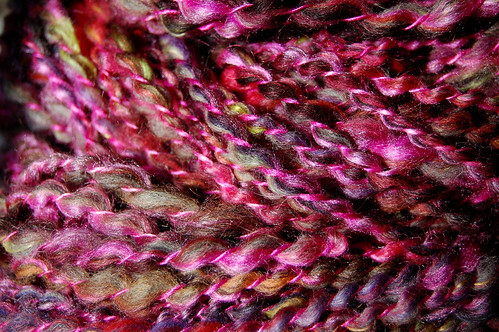 It's 65 yards of Super Bulky Merino in Brown, Burgundy, Pink and Purple. I'm saving this one for a DS cozy for my new Nintendo DS.